© 2013 Amit Thavaraj. All rights reserved. 20 Feb Bookmark the permalink. Waste Matters was commissioned by Kagad Kach Patra Kashtakari Panchayat (KKPKP) in May 2010. This 10-month project will create a photo-documentary of the people employed in the solid-waste management sector of Pune. This blog serves a repository of content -- photographs and articles -- created during the project's duration. The Waste Matters project is directed by Amit Thavaraj, Outsider Films, Pune. 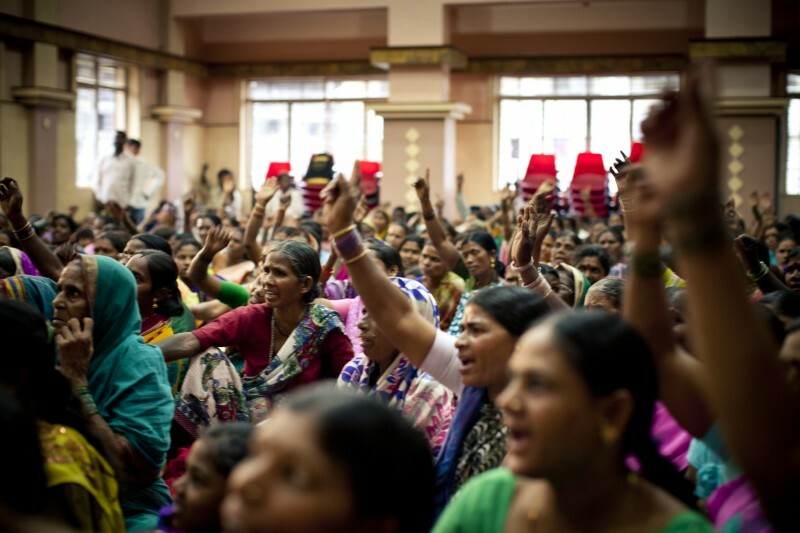 Kagad Kach Patra Kashtakari Panchayat (KKPKP) is a trade-union of waste-pickers and itinerant waste-buyers in Pune. It was established by Pune's waste-pickers in 1993. KKPKP successfully argued for municipal endorsement of identity cards of waste-pickers. It quantified their contribution to solid waste-management and spearheaded the struggle for their rights. It established that the work of waste-pickers saved the Pune and Pimpri Chinchwad Municipal Corporations several millions every year in waste-handling costs -- Rs. 120 million in 2009 alone. Nearly two decades of organized struggle has brought about a gradual but marked change in the life of waste-pickers in Pune-- they now have access to credit, life insurance and partial medical cover; their children have access to educational scholarships; the environmental and financial contribution of their work is recognized. KKPKP created the SWaCH Cooperative in 2007. SWaCH Coop is India’s first wholly-owned cooperative of self-employed waste-pickers and other urban poor. It an autonomous enterprise that provides front-end waste-management services to more than 200,000 homes in Pune. These services are authorised by the Pune Municipal Corporation and effectively bridge the gap between the household garbage-bin and the municipal garbage-truck. The work includes collection, resource-recovery, trade and waste-processing. SWaCH seeks to provide decent livelihoods in the recycling industry to its members.